Avoiding frustrations with freelancers is easy. Just as long as you can get past a dirty word: “contract”. This touchy subject is one of the most overlooked aspects of project work with small businesses and freelancers, but it’s the best prevention for an aneurysm. A business owner wants to start promoting his business and sees press releases as a good opportunity to get some free exposure. However, he has little time to focus on marketing and his staff lacks the skill needed to create and distribute press releases. Plus, the business is running lean following the recession and can’t afford to take on the overhead for a new hire. He likes the idea of hiring a freelancer since he gets the expertise without the overhead, so the owner turns to someone he’s met a few times. Stories like this happen all the time. There is always a misunderstanding, unless you have an agreement before the project starts. Setting the terms upfront is one of the most important steps of any project. 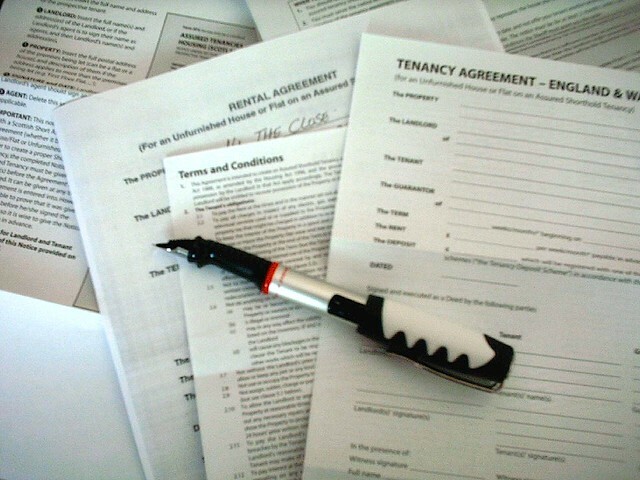 However, people get spooked when the word “contract” is tossed casually into a conversation. Even if you try to dress it up as an “agreement” instead, it can be hard to convince people that a contract does anything but expose a lack of trust. As a freelancer I like to think of contracts this way: people sometimes miscommunicate and order to minimize that, discussing the who, what, when, where, why and how of a project before hand can save a lot of frustration later. Even on small, seemingly easy projects, deep misunderstandings about what was expected have created rifts. So now I try to rephrase what the client has described to me in an agreement that also covers my terms, like payment details, copyrights and more. The main focus of this exercise is to get both sides to think about the details. When working with a freelancer you should be answering the six questions (who, what, when, where, why, how) as thoroughly as you can. If the business owner above had said in the beginning, “I want a press release that talks about the benefits of doing business with us,” the freelancer could have made suggestions to fit the demands. Sometimes it can be difficult to define what you are looking for, but a good freelancer should be able to make recommendations on things you may not have thought about. Do you need to write these details down? In my experience there is only one way to ensure that everyone is on the same page and that is to have everyone agree to a document. While there are aspects of CYA* in agreements, these terms should protect both you and the freelancer. Never agree to something that seems out of balance without discussing it first. Most of the time people should be able to adjust or omit a phrase if necessary. For more on how to take control of this process from the freelancer’s perspective, check out “Taking Control of Contracts: What Every Creative Should Know.” Or you leave a comment below and I’ll answer the questions I can.